boba milk tea 101: many names one great experience – Best. Team. Ever. p style=”text-align: left;”> ………………………This……………………………………..Not This………………. The problem I’m sure that most boba milk tea places face with the “good” top is that a sealing machine is needed to heat the edges and place it on the cup and then cut away the extra plastic. That machine can cost as much as $5000 But it’s oh so much more worth it to the customer. And often times the seals have little funny cartoon characters on the tops, or ads for the boba itself. There are many names to boba milk tea as you may or may not know. A few of us here at best team ever, are boba addicts! We have scoured the globe (the west coast) to find some good, and not so good, boba tea places. Tea Station at the Spectrum in Irvine (which is now closed probably because it was qbix’s favorite, and the world is not only out to get Spanky it is also after and friend of Spanky, namely Scotty and qbix!!!! and every so often, boogs, and the fooz). Sadly this place no longer exists…but there are rumors that one exists over by the Irvine Valley College. I went by there looking for it but to no avail so far. Two bubble milk tea places in the U district, on University Blvd, near Seattle, in Washington State: I don’t think the one south of Yunnie Bubble is open anymore (across 45th Street). But Yunnie Bubble was my favorite in Seattle, and it had a fun atmosphere with these really good churro type bread treats. _5 lolcats for the other. One in Federal Way WA (blue bubble) or something… really weird atmosphere, like it was just a front for some korean gang or mafia, where these young kids seemed like they owned and ran the whole place, but could care less if they were running a store, and were more apt to just be smoking, watching tv, playing pool, and talking with their friends…but it had pretty good boba. Boba Time? (at least that’s what it says on google, it might just be a coffe shop that sells boba) in Korea Town, Los Angeles and one I just for the life of me can’t remember where or what it was called other than it was just this little shack on the side of the road, somewhere near Olympia and Crenshaw in LA (sorry for the lack of feedback). Way too much smoking… boba decent. Sky Express in the Mitsuwa Shopping Center in Costa Mesa, CA. Taste of China, a Chinese Restaurant in San Clemente (not recommended… only slushy version of boba) and boba was so hard it was like candy. Graffitea, which has had many names, and is now called Japanese BBQ or Grill or something like that on Bristol St in Costa Mesa CA. They are quite good. Boba World: a good place in Pasadena in Old Town, on Colorado St. it’s a new place, that is decent with a lot of flavors and various types of other drinks, including the always present “jellies” drinks which are the fruity version of boba (Spanky likes these more that traditional boba)… there used to be an older place (the first place I ever tried it, all on my own, but I don’t think it exists anymore). It was near the Pasadena Library, and a new Hawaiian BBQ place. Cha for Tea (a University of Irvine Institution among the students there) located in UCI’s marketplace it has pretty good boba, and they are always very eager to please and will change your drink to any taste specification for you if you find it originally unsatisfactory, they also serve quite a bit of “fast asian food” and the best part is that they are open until 2 in the morning on weekend nights, and 1 normally, which is a rare find in Irvine CA. Bubble Tea, is the name, and I think this place makes their boba a little too sweet. My ex girlfriend and I had a big discussion about it which actually led to a dramatic argument here… so I don’t really go back much, too much emotional baggage… ha ha (not really I still go, I just don’t look anyone in the eye now). 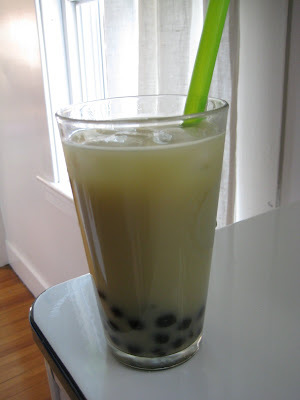 Tapioca Express: so here is a new place I just discovered while doing this boba search qbix and I will have to check it out next time i’m in town to give it a lolcat rating… it’s apparently a chain based on their website… we’ll see. I usually don’t like chain’s of any kind of store. There used to be a Japanese Sushi place on PCH in Dana Point, but they were bought by another company and lost the production of boba. I did manage to get some of their Thai Tea mix before they left. They sold me the whole wholesale bag, sadly it’s just not the same making it at home without the boba, so the bag sat unused for a long time. I tried some again…but I just never had the heart to drink milk with Thai tea mix… the bag made it all the way to my new house, where I decided it was time to throw it away (3 years later). Bubble tea. . . the tea you can chew! My coworkers and I have been spending a ridiculous amount of money on bubble tea at the independent zen tea shop across the street. While we love the place and like to support the owners I wondered how difficult it could be to make my own bubbles. 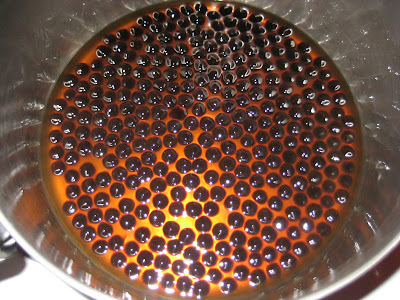 I did a little research and a few days later a brick of tapioca bubbles landed on my doorstep. Best Team Ever’s boba rating system is also taking into account the quality of the tapioca, because that is a huge part of the experience. If the “bubbles” are too firm it’s no good and if they are too sticky and mushy it’s no good either. It is quite an art form to create the right quality bubble. Also it’s an art form just looking at the finished drink, let alone the drinking experience! 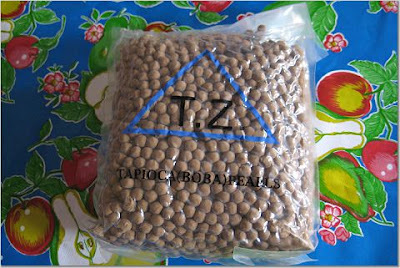 Bubble tea can be made at home, but preparing tapioca pearls can be quite labor intensive as the tapioca pearls must be consumed immediately to maintain freshness and not lose their soft gummy texture. It’s easier to skip making it yourself and head down to the various Bubble Tea shops which have sprung up. Place the pearls in a large parfait glass. Combine all remaining ingredients in a cocktail shaker, and shake vigorously until the mixture is frothy. Pour into the glass, and serve with extra-thick straws. The Interesting subject, with pleasure shall read Your blog. Big bubble tea fan cant live without it . Guess what Bubble Tea is healthy too. heard of Boba Loca? they cook the pearls nice and chewy and the drinks are great. i love the taro slush and tapioca milk tea but the rest are worth to try. Cool post! a hyper link to this posting was at Christian Dillstrom’s list of recommended blog pages – so you are doing an excellent job as mobile + social media marketing mastermind provides an address to you! Previous PostPrevious BTE Netcast – Episode 1 – Oh hai!